Please let me know what you think in the Comments below, and you can Follow my blog using one of the buttons to the right. Enjoy! 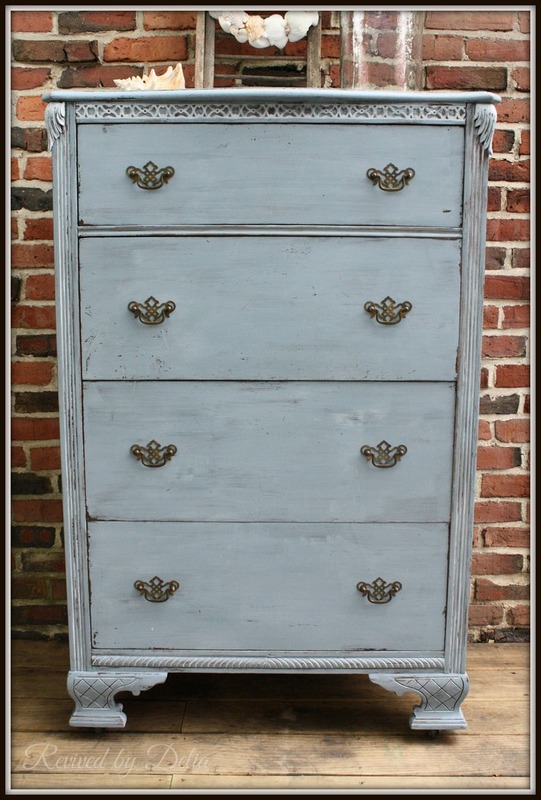 If you like this dresser as much as I do, it can be purchased at Rebecca Christine’s Consignment Boutique. 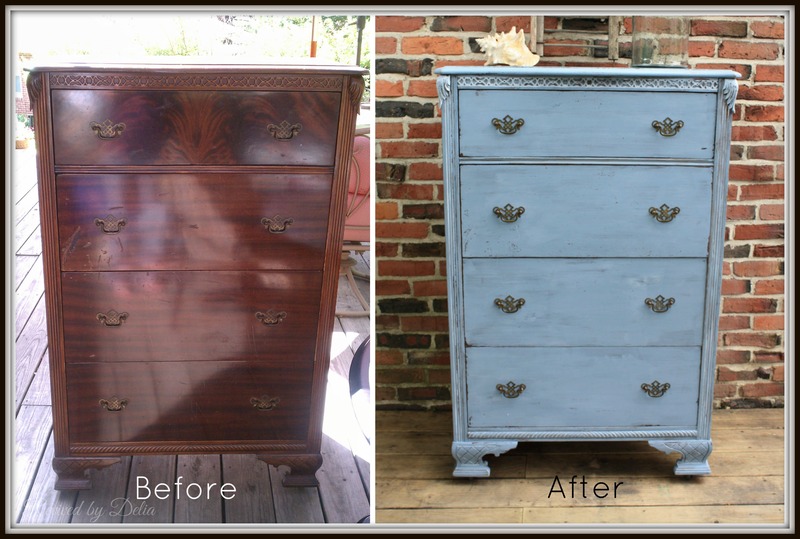 And the final Before & After…. Oh my! Super pretty she is, and how nice to have given her castors as well! You have done a great job on this piece and I bet it won’t take long to sell. Thanks Terry! So glad you like it! Hi Delia! I’m a new follower. 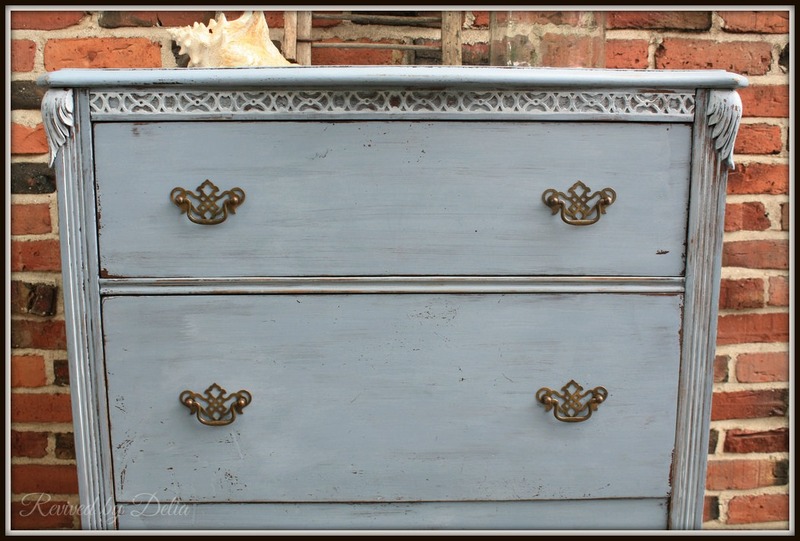 You did a lovely job on this dresser. I think I would have snagged it, too. Although I’m not a blue fan (only because it’s not a color in my home at the moment) I really like the way it looks on this piece. It should sell quickly! Can’t wait to see what you will do next! Thank you Patty – it’s nice to have you! Glad you like it! Hi Lory – Thank you for stopping by and taking the time to comment. I’m not sure what style art you practice, but my head goes straight to painter? 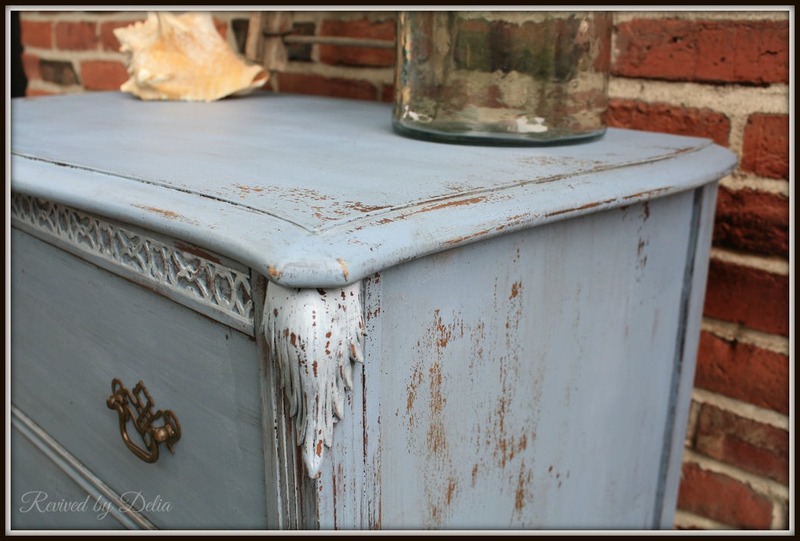 You may try to find a piece plain enough that it offers you a “canvas” of sorts to insert your own style? Just a thought. Your blog is beautiful and elegant. 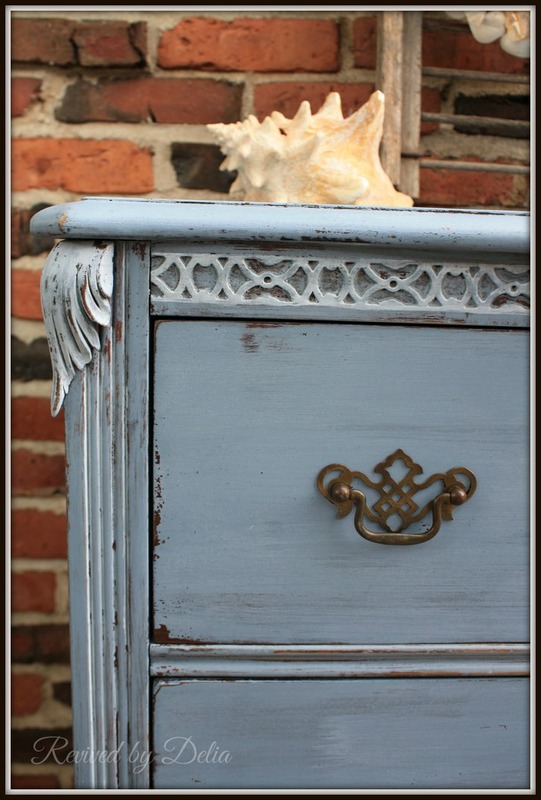 So glad you could find inspiration in my dresser! 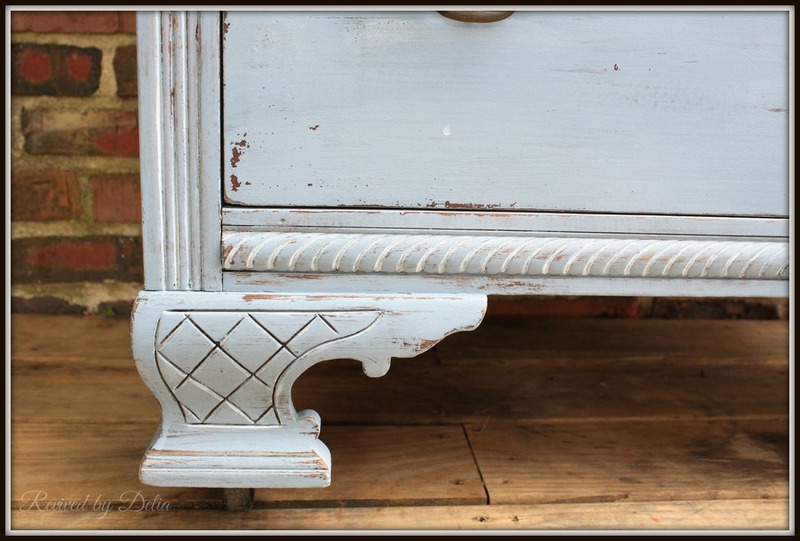 Love the blue/grey color and the white details. Beautiful paint mix! Nice job. Kelsey Elaine @ the Vintage Storehouse & Co. This is stunning! You are insanely talented and I love the mix of colors you chose. Can’t wait to see what you do next! 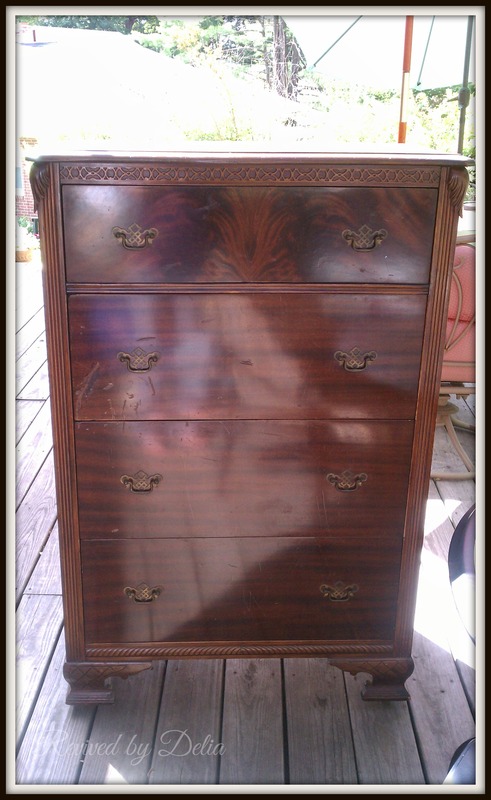 That is such a cool dresser. 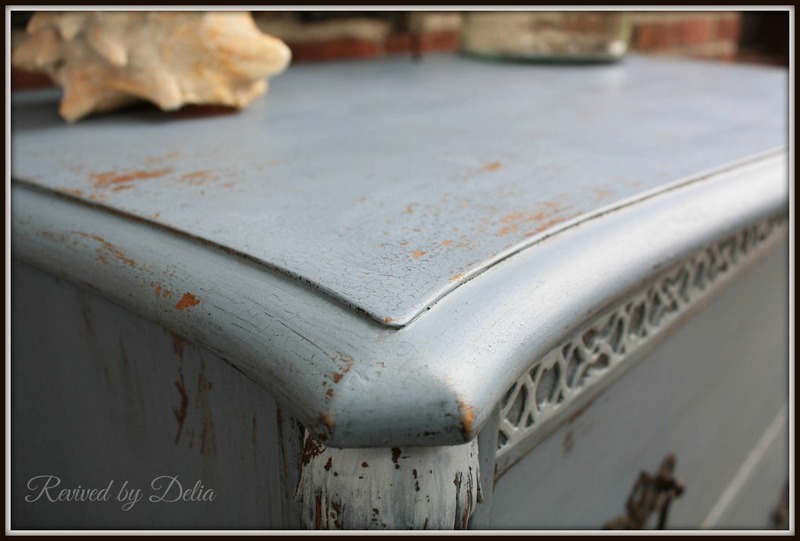 The details are great and I love the way you accented them with a slightly lighter color. Looks beautiful.